Dr Angelo N Grubisic is Lecturer in Astronautics and Advanced Propulsion within Engineering and Physical Sciences at the University of Southampton and is a specialist in the development and testing of advanced propulsion systems for spacecraft. Dr. Grubisic is also a specialist in selective laser melting (SLM) as applied to additive manufacturing (AM). 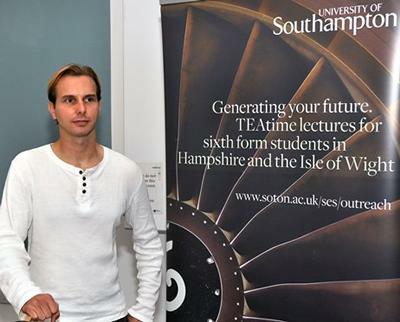 Dr Grubisic joined the Astronautics group at the University of Southampton in 2013. Prior to this he was a consultant AIT and Systems Engineer for QinetiQ, responsible for the development of the T6 Solar Electric Propulsion System on the +£1.1bn ESA BepiColumbo Mission to Mercury where he was involved in the development of several systems including propellant flow control systems, power processing and control units and gridded ion thrusters. Over the last 8 years, Dr Grubisic has worked extensively with the European Space Agency and NASA Jet Propulsion Laboratory in the development of advanced propulsion technologies. He provides an applied systems approach with working industry engineering knowledge and methodologies. 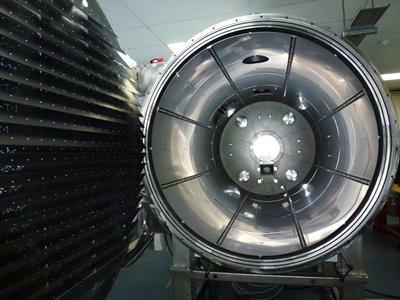 Dr. Grubisic collaborates closely with industry, including Surrey Satellite Technology Limited in the development of resistojet propulsion systems. Besides conducting leading research in the fields of spacecraft propulsion and materials science, Dr. Grubisic also manages the David Fearn Electric Propulsion laboratory, which contains a 2m x 4.5m thermal vacuum test facility. 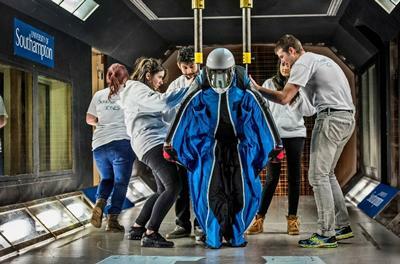 Dr. Grubisic also leads a number of 4th year Group Design Projects including the Icarus World Record Wingsuit Project. 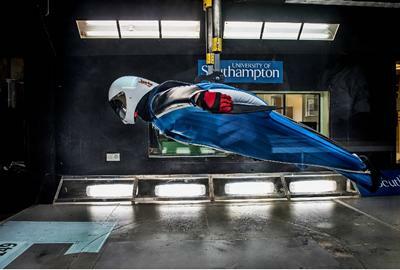 The aim of the Icarus Project is to develop the world’s first scientifically engineered wingsuit to break current records and set additional world records for human flight. 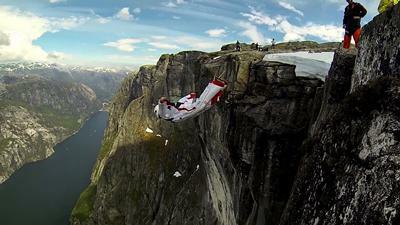 These records include the highest altitude and highest speed wingsuit jump, whilst traveling furthest total distance in the longest ever wingsuit flight. Robinson, M. D., Grubisic, A., Romei, F., & Ogunlesi, C. (2018). Endurance Testing of the STAR Additively Manufactured Resistojet. Paper presented at Space Propulsion 2018, Seville, Spain. Romei, F., Grubisic, A., & Gibbon, D. (2018). High performance resistojet thruster: STAR Status Update. Paper presented at Space Propulsion 2018, Seville, Spain. Ogunlesi, C., Grubisic, A., Romei, F., Robinson, M. D., Aimone, P., Dary, F., ... Curtis-Rouse, M. (2018). 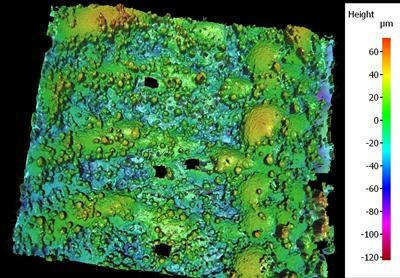 Novel non-destructive inspection of the STAR additively manufactured resistojet. Paper presented at Space Propulsion 2018, Seville, Spain. Staab, D., Frey, A., Garbayo, A., Shadbolt, L., Grubisic, A., Hoffman, D., ... Lawrie, S. (2018). 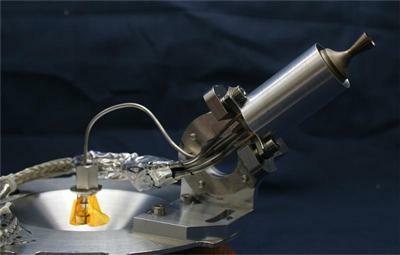 XMET: A Xenon Electrothermal Thruster using additive manufacturing. Paper presented at Space Propulsion 2018, Seville, Spain. Romei, F., Grubisic, A., & Gibbon, D. (2017). 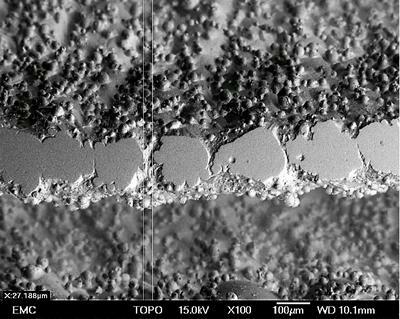 Performance testing and evaluation of a high temperature xenon resistojet prototype manufactured by selective laser melting. In 35th International Electric Propulsion Conference [IEPC-2017-463] IEPC Conference. Sugihara El Maghraby, A. K., Grubisic, A., Colombo, C., & Tatnall, A. (2016). A mission concept for geostationary passive microwave interferometric radiometry using formation flight. International Workshop on Measuring High-Wind Speeds over the Ocean, Exeter, United Kingdom. Sugihara El Maghraby, A. K., Grubisic, A., Colombo, C., & Tatnall, A. (2016). A novel approach to microwave interferometric radiometry in the geostationary orbit using formation flight. Paper presented at 67th International Astronautical Congress (IAC 2016), Mexico. Sugihara El Maghraby, A. K., Grubisic, A., Colombo, C., & Tatnall, A. (2016). Geostationary microwave radiometry using formation flight. Poster session presented at 67th International Astronautical Congress (IAC), Mexico. Romei, F., Grubisic, A., Gibbon, D., & Lane, O. (2016). 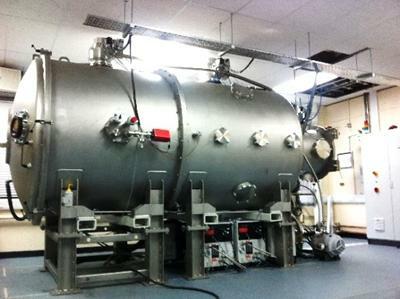 Selective laser melting for production of a novel high temperature electrothermal propulsion system. Paper presented at 67th International Astronautical Congress (IAC 2016), Mexico. Sugihara El Maghraby, A. K., Tatnall, A., & Grubisic, A. (2015). A constellation concept for microwave interferometric radiometry from geostationary orbit. Poster session presented at RSPSoc, NCEO and CEOI-ST Joint Annual Conference 2015, Southampton, United Kingdom. Sugihara El Maghraby, A. K., Tatnall, A., & Grubisic, A. (2015). A constellation concept for microwave interferometric radiometry from geostationary orbit. Paper presented at RSPSoc, NCEO and CEOI-ST Joint Annual Conference 2015, Southampton, United Kingdom. Grubisic, A., Clark, S., Wallace, N., Collingwood, C., & Guarducci, F. (2011). Qualification of the T6 ion thruster for the BepiColombo Mission to the planet Mercury. Paper presented at 32nd International Electric Propulsion Conference, Germany. Grubisic, A. N., & Gabriel, S. B. (2010). Thrust production mechanism in hollow cathode microthrusters. Paper presented at IEEE Aerospace Conference, . Grubisic, A., & Gabriel, S. B. (2009). Hollow cathode thrust mechanisms. In Proceedings of the 45th AIAA/ASME/SAE/ASEE Joint Propulsion Conference & Exhibition Reston, USA: American Institute of Aeronautics and Astronautics. Grubisic, A. N., & Gabriel, S. B. (2009). 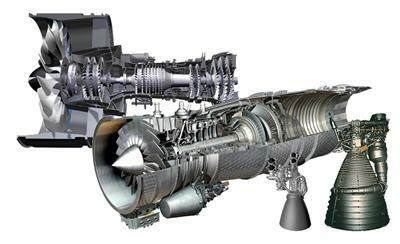 Understanding hollow cathode thrust production mechanisms. Paper presented at 31st International Electric Propulsion Conference, . Grubisic, A. N., & Gabriel, S. B. (2008). Development of an indirect measurement Micro-to-Milli-Newton thrust balance. 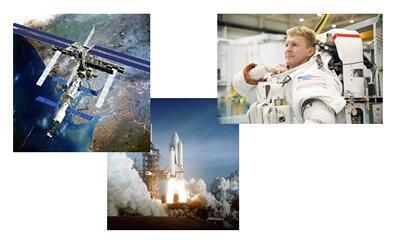 Paper presented at 2nd International Symposium on Propulsion for Space Transportation, Greece. Grubisic, A. N., Cranny, A., & Gabriel, S. B. (2008). 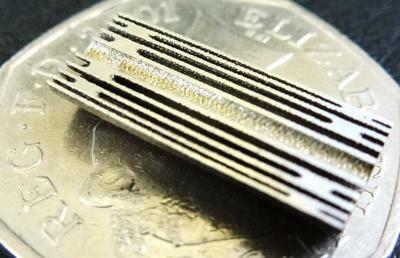 Feasibility of MEMS hollow cathode devices for micro-spacecraft plasma propulsion. Paper presented at 14th International Congress on Plasma Physics, . Grubisic, A. N., & Gabriel, S. B. (2008). 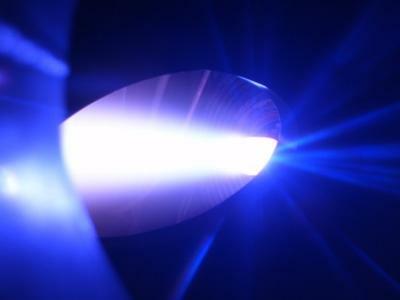 Hollow cathodes as a plasma propulsion device. In Proceedings of the 46th AIAA Aerospace Sciences Meeting and Exhibition Reston, USA: American Institute of Aeronautics and Astronautics. Grubisic, A. N., Polk, J. E., & Przybylowski, J. N. (2008). Ion energies in an open-diode hollow cathode discharge. In Proceedings of the 44th AIAA/ASME/SAE/ASEE Joint Propulsion Conference & Exhibition (AIAA 2008-5095). Reston, USA: American Institute of Aeronautics and Astronautics. Grubisic, A., & Gabriel, S. (2007). 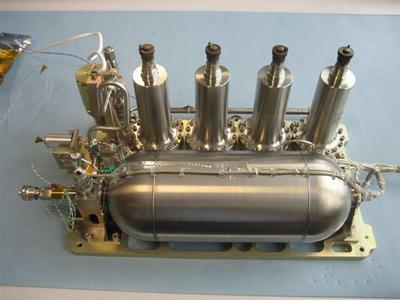 Characterization of the T-series hollow cathode thrusters for all-electric spacecraft. Paper presented at 30th International Electric Propulsion Conference, . Grubisic, A., & Coletti, M. (2007). 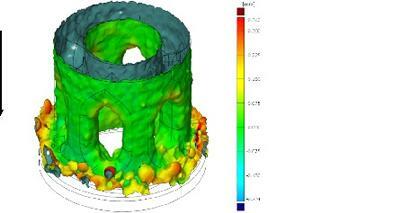 Numerical simulation of the insert chemistry of the hollow cathode from the Deep-Space 1 Ion Engine 30,000 hour life test. Paper presented at 30th International Electric Propulsion Conference, . Grubisic, A., & Gabriel, S. B. (2007). Preliminary thrust characterization of the T-Series hollow cathode thrusters for all-electric spacecraft. Paper presented at 30th International Electric Propulsion Conference, . Grubisic, A., & Gabriel, S. (2007). Thrust characterization of a T5 hollow cathode. Paper presented at 43rd AIAA/ASME/SAE/ASEE Joint Propulsion Conference & Exhibit, United States. Grubisic, A. (2005). Emitter temperature distributions in the NSTAR discharge hollow cathode. Grubisic, A., Gabriel, S. B., Jiang, L., Cranny, A., Kraft, M., & White, N. (2009). On-a-chip microdischarge thruster arrays inspired by photonic device technology for plasma television. s.n. Dr. Grubisic teaches knowhow based spacecraft systems engineering, life support systems, astronaut physiology and space adaptation syndrome, launch vehicles and in-space propulsion.